igubal® spherical bearings are easy to install and compensate for misalignment. They are made from high-performance, low-cost plastics, which have excellent vibration dampening properties and are lubrication-free. The resistance of igubal® bearings to dirt and dust makes them ideal for applications where a standard greased bearing would not be suitable. Compared to their metal counterparts, igubal® spherical bearings weigh up to 80% less and help save on installation space thanks to a low profile. Request a free bearing sample from igus. Accelerometers and pressure sensors for measurement in extreme environments require special consideration during design and manufacturing processes. To protect the crews of armored fighting vehicles, a leading manufacturer of fire-suppression systems exploited the sensitivity and fatigue life of flexible electrodeposited nickel bellows. New algorithms allow an autonomous robotic plane to dodge obstacles in a subterranean parking garage, without the use of GPS. GM's new resistance spot welding process uses a patented multi-ring, domed electrode that does what smooth electrodes are unreliable at doing: welding aluminum to aluminum. Rexroth's Omega Module linear motion system can handle quick, deep plunges and the increasingly fast cycle times of production machines. Harmonic Drive AG of Limburg, Germany, has developed an inventive type of component gear set that is considerably lighter and more compact than conventional gears. The first self-contained wireless photoelectric sensing solution for multiple monitoring and control applications has been introduced by Banner Engineering. The SureCross Wireless Q45 includes a sensor, radio, and internal battery power supply in a single compact and robust housing. 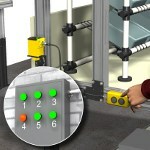 A variety of sensing modes are available, allowing for functions including presence/absence, alignment, position, counting, monitoring, and detection. Battery life is up to five years. The self-contained units make it more economical to add the benefits of wireless communication for both OEMs and end users and are suitable for many industries, including automotive, food and beverage, material handling, waste management, water supply, and mobile equipment. Range is 1 km/3,000 ft. The Goodfellow Ceramic and Glass Division has added a range of ceramic nuts, bolts, and washers for applications where high temperature, high voltages, magnetism, or harsh conditions greatly limit or prohibit the use of other materials. The ceramic fasteners are of high purity, fully dense, and impervious. The standard product range includes alumina hexagonal head bolts in metric sizes from M2 to M8, along with their matching nuts and washers. 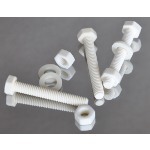 Goodfellow can often supply, upon request, different headstyles or special lengths as well as inch threaded fasteners and other materials such as zirconia, metals, and polymers. 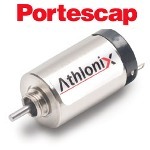 New 12GS high-endurance motors from Portescap's Athlonix line deliver spectacular speed-to-torque performance in a compact, lighter-weight package (13.5 g/0.47 oz) with output power up to 1.2 W. This enables OEMs to build smaller, lighter, and higher-performing machines and devices. 12GS motors feature an energy-efficient coreless design with an optimized self-supporting coil and magnetic circuit to maximize power density, while also providing sustained endurance over the life of the motor. These motors are available with three winding options to suit varied application needs. The size-to-performance ratio offers 10% less volume for the same performance and 50% more torque in the same package. 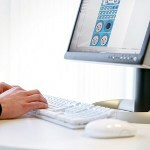 Designing transits with CAD programs can be time consuming. Roxtec Transit Manager Software (RTM) 3.0 allows electrical engineers to reduce design time and cost through auto-planning. An engineer can easily enter cables manually or import project data from external cable schedules to generate automatic packing plans, and then simply print material lists for purchase. Electrical cable and pipe designers can also calculate the weight of transits, tag cables, and make changes to transits at any time. 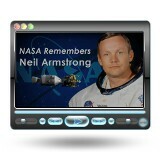 Drawings and plans can be exported as .dxf files, and the created geometries can be imported into CAD programs. U.S. Army officials at Aberdeen Proving Ground in Maryland announced the winners of this year's Army's Greatest Inventions competition Sept. 19. The top 10 winners include a 120-mm guided mortar cartridge, add-on-armor kits for MRAP vehicles, and a force-detecting and -reporting sensor system integrated into Soldiers' helmets. The shuttle fleet retired last year, but some of its engineered materials live on vicariously inside GE's innovative LEAP jet engines. 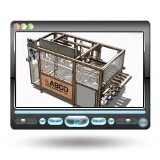 Find out how SolidWorks can make designing welded structures and components fast and easy. Learn about new tools and features and how to use them by following along with the creation of a welded frame for a large bag-and-box machine.